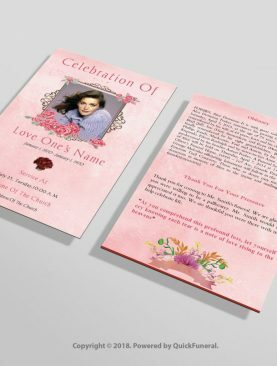 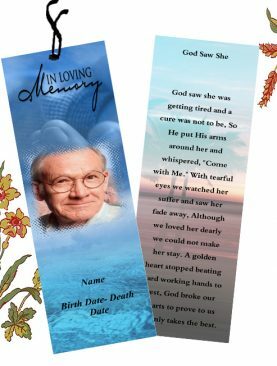 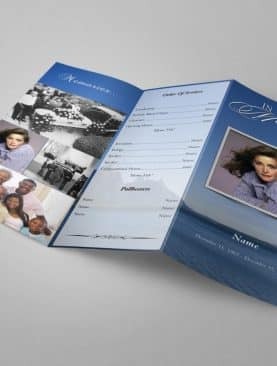 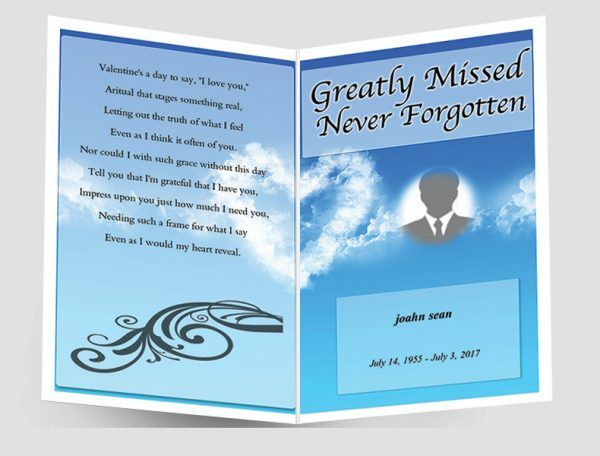 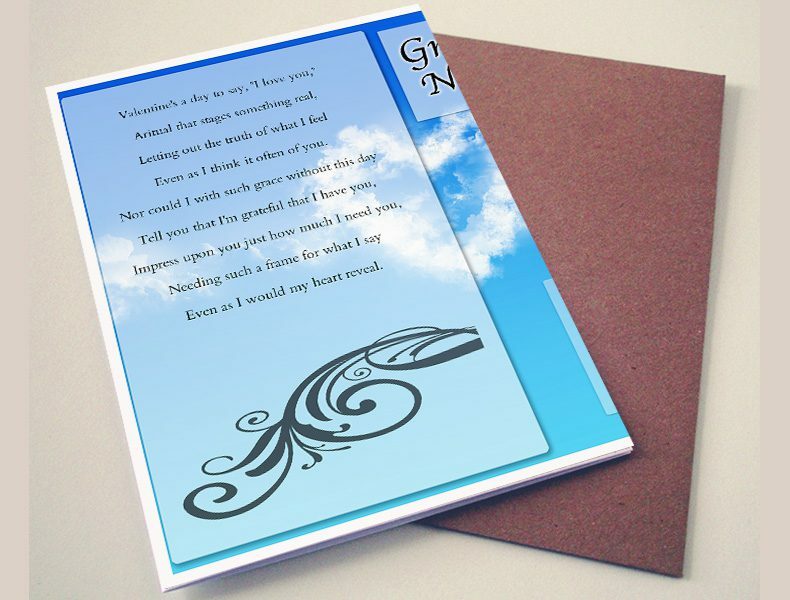 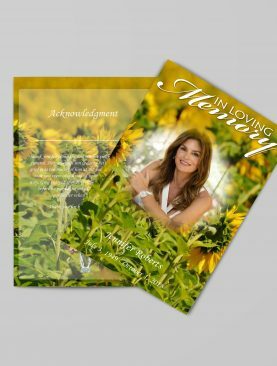 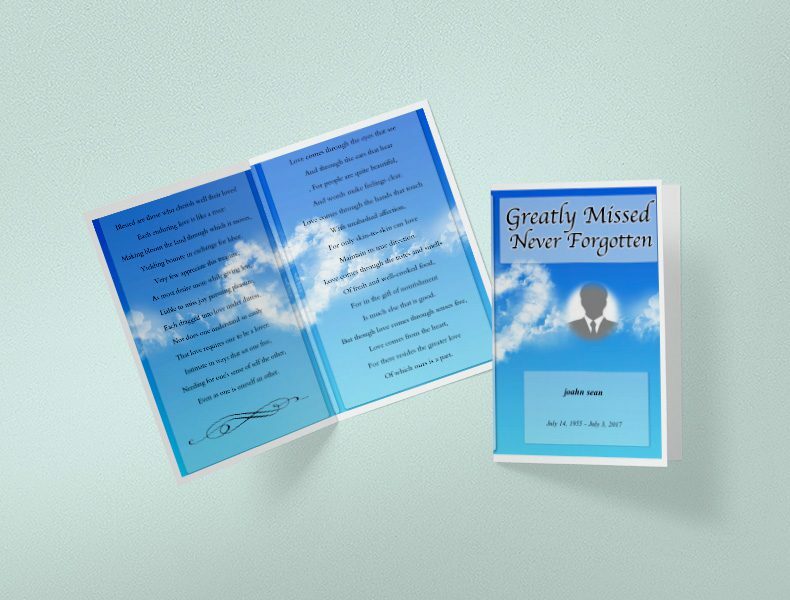 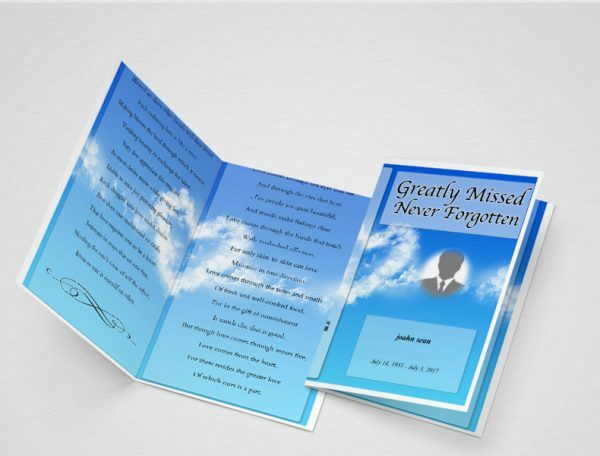 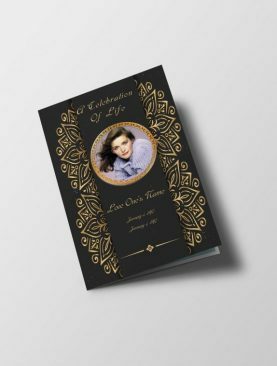 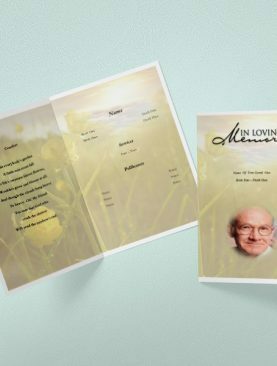 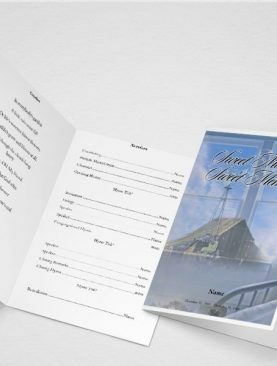 Here is an absolutely amazing view of the Sky Blue Funeral Program Template having a measurement of 8.5” x 11”. The principle shading is dim and light sky blue with mists spreading in the sky as a heart that speaks to direction, consolation and love. 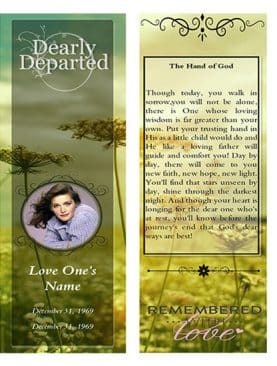 They likewise symbolizes that there is still expectation and everything will be okay and in this way giving us energy to adapt to the circumstance.